Meanwhile, in large skillet, cook ground beef, bell pepper and onion over medium-high heat until beef is thoroughly cooked, stirring frequently. Drain. Stir in all remaining ingredients. Cover; simmer 10 minutes or until thoroughly heated. To serve, split warm biscuits. 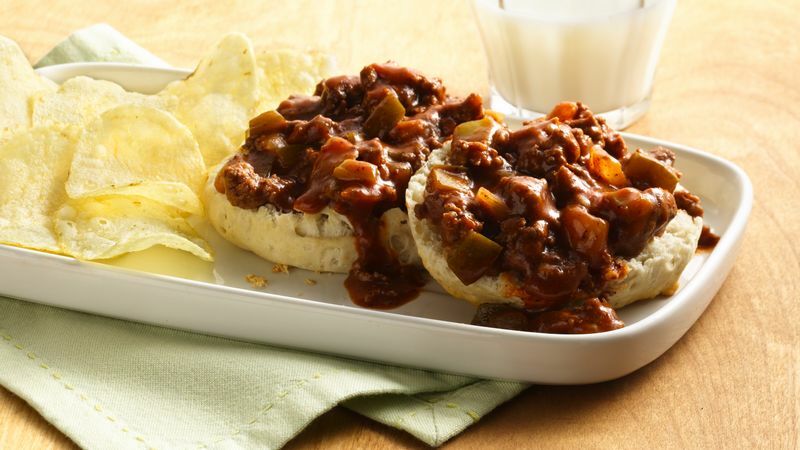 Spoon beef mixture into biscuits.